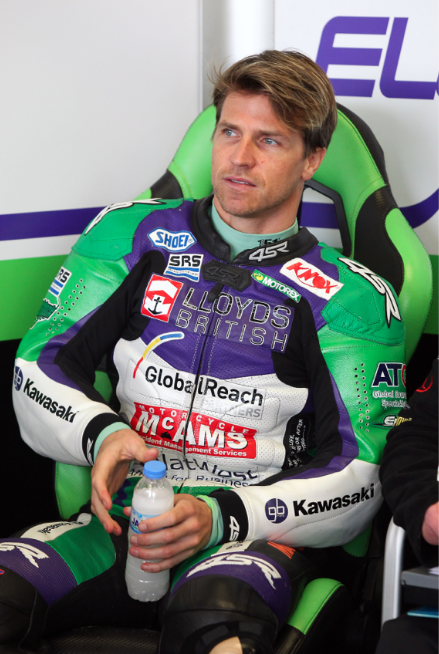 Motorcycle accessories retailer MCA will be hosting an exclusive evening with British Superbike legend James Ellison on Wednesday September 10th. Taking place at the company’s Leicester shop at 7pm, the event will give 15 competition winners and members of the press the chance to meet James. They hear him talk about how he recovered from a broken femur and hip surgery after that crash at Brands Hatch to return to the track within a month. He’ll also be answering their questions, talking all things gear, dishing out the latest news from the circuit and offering an insight into life inside his race team Lloyds British GBmoto Kawasaki. The VIP Q&A session will be followed by complimentary food and drink and plenty of exclusive offers on kit just for guests. From 8pm, the store will be open for anyone to come in and meet James. Dan Hall, MCA’s store manager, said: “All of us at MCA are mad keen bikers and we’ve supported James throughout his career. So we’re all looking forward to welcoming him into the shop and giving our customers the chance to meet him in person. The huge crash on July 20th forced the 33-year-old to miss three races as he underwent intensive hyperbaric pressure chamber and physiotherapy rehabilitation. After returning to the track during the Bank Holiday weekend but struggling due to the pain, he aims to race at Donington Park the weekend before the MCA event. For more details visit mcaleicester., call 07723602254 or pop into the MCA store in Leicester at 160-162 Belgrave Gate (LEI 3XL).